The answer is the live tracking. Each Xeeder networked lock unit can transfer the opening act to the digit information and send it to the control center by live time. It provides updated information 7X24-hour, all floor rooms which equipped completed. 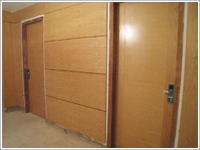 All the rooms will be tracked of any action of door openings (access). Information will be display on the screen of computer locate the control center or reception desk. Informationwill not be lostunder any circumstances,even if the computeris damaged ordisconnected from the network. Xeeder product designed by separation idea between the controlling parts and product appearance. 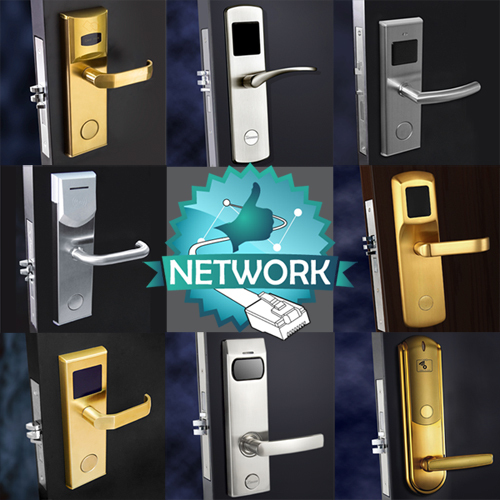 As the new product, Xeeder networked lock offers the same appearance as the regular hotel lock product. That means the users could enjoy the networked function on the all models as follows. 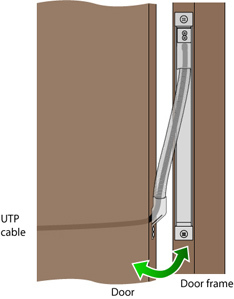 For the installation, the point of networked lock is wiring.Because the cable must be protected very well that prevent it been cut or broken because of long time door opening and closing. 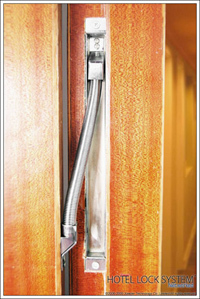 To solve this problem we offer you the product-door loop. 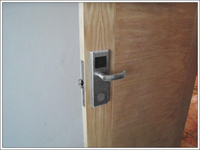 The advanced hotel lock system all are the embodiment of human nature and specialized design, it is full-featured product, as a result, it can be applied to all areas of need and occasion, can meet different requirements of users. 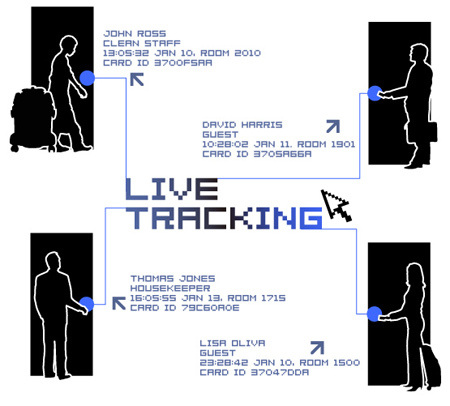 Real time monitor all rooms unlocking and status. Powered by POE(Power over ethernet) power adapter and backup rechargeable battery, automatically switch to backup battery if external power is cut off. 5,000 users + 10,000 events per lock,flash save events. Networked hotel lock requires software support. 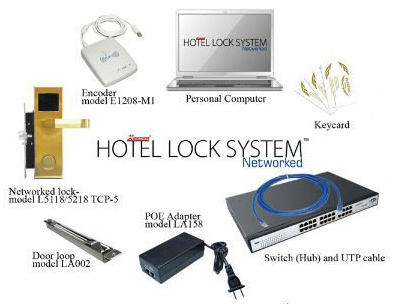 Hotel Lock System™ networked is such a software that especial for it. 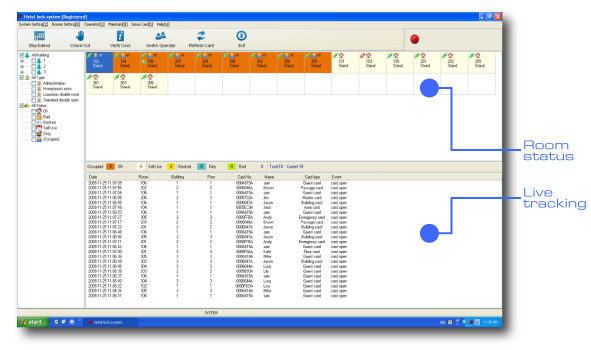 *Monitor real-time of all doors unlocking including card holder, time, card type. *Instant reading card and unlocking events show in computer. *Remote opening and active Icon shows unlocking. *Available in 1 card for multi-door and any time table . *Operation grade edit fully by yourself. *Camera function and Statistics Center function.